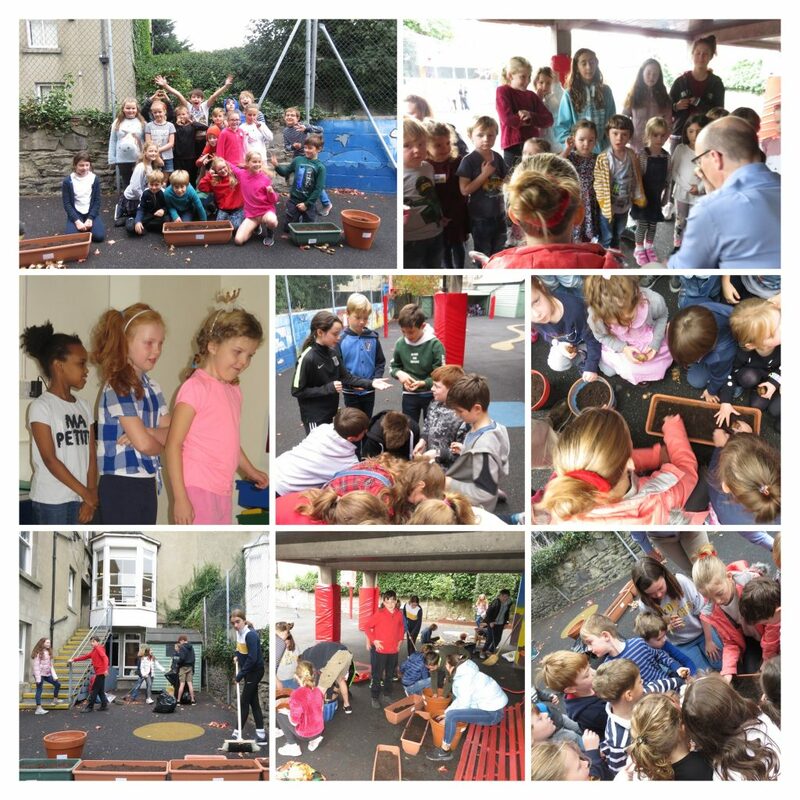 Bulbs, Dancing, Fundraising, Slime and Birthdays – Monday Morning in RJS! Our week started with a very busy, yet fun assembly. First of all we learnt the news of an amazingly successful Bake Sale organised by one of our families last Friday afternoon. An incredible €804 was raised, bringing the total amount of our Copper Collection to €1659 before any coins are even counted! Next we were treated to a wonderful piece of choreography arranged and performed by three girls in Form Two. It was a delight to see their twists, turns, lifts and other moves come together in such a co-ordinated fashion. Next we were shown some special slime by two of our Form Three girls before assembly came to a close by celebrating two birthdays, in Forms Five and Six. After assembly Form Six worked hard to get everything ready for our annual bulb planting morning. All our window boxes were filled with compost, labelled and laid out with bulbs ready for each class to plant. Form Six helped all the classes from Kindergarten A to Form Two. 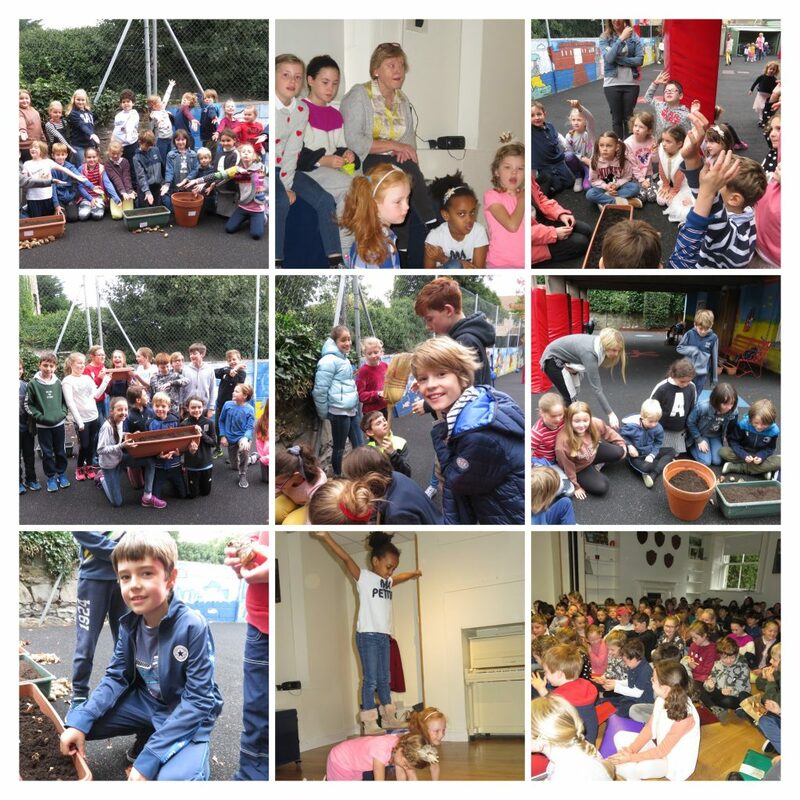 Then when all the classes were finished they tidied the garden and put the window boxes and pots around the school. It was a busy start to another busy week in RJS. We can’t wait to enjoy our daffodils when they start to bloom in the springtime!